I discovered a delicious dairy-free 90 calorie snack! 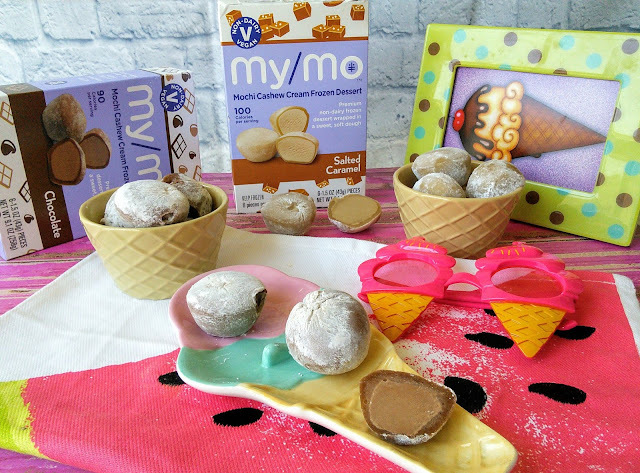 I received samples of My/Mo Mochi Cashew Cream Frozen Dessert. I had to give up my favorite summer treat this year as my lactose problems are getting worse. I think it has something to do with getting older or maybe my healthier diet. I am not quite sure but when I eat ice cream, I feel sick for several hours. I can still eat cheese and yogurt which is good but just not things with fresh milk in it. I used to be able to eat ice cream in small portions but not anymore. So I have been having to buy sorbet when I want a frozen treat. Now sorbet is delicious but is not ice cream. I was happy to discover a new dairy-free 90 calorie frozen treat that tastes just like creamy ice cream. This delicious treat satisfies my ice cream craving and then some. 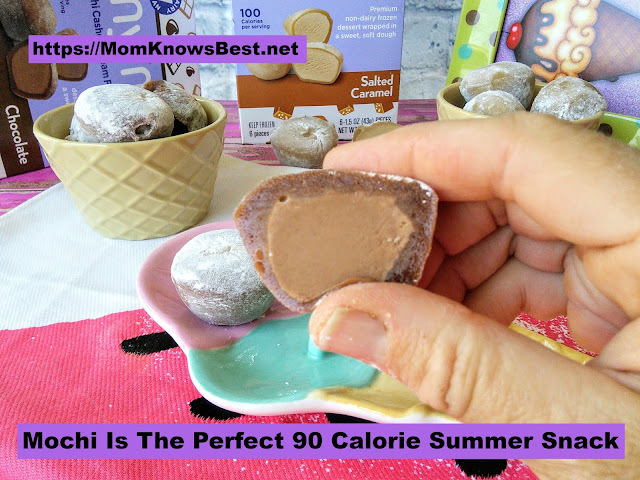 My/Mo Mochi Cashew Cream Frozen Dessert is a miraculous match of magnificent mochi dough with marvelously mouthwatering ice cream. 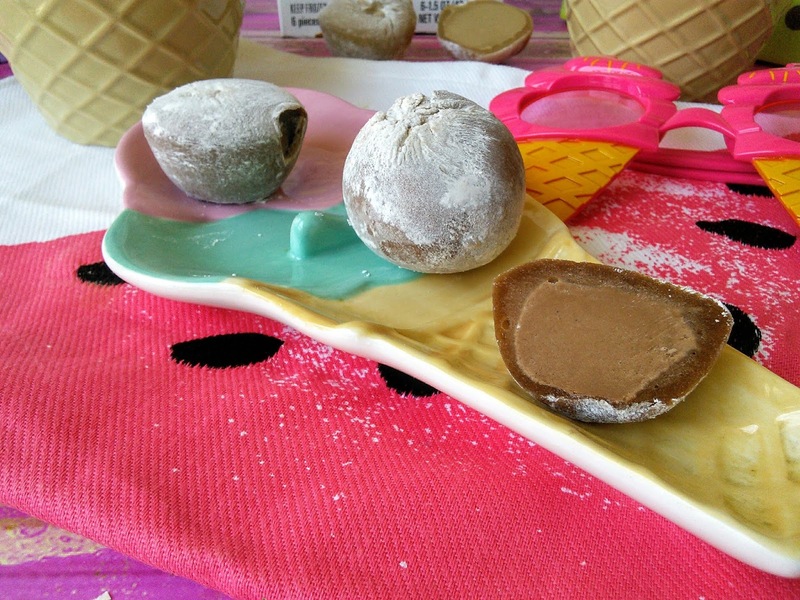 These frozen treats take a scoop of frozen cashew cream and wrapped in pillowy mochi dough. These bite-size non-dairy treats come in four amazing flavors! My favorite flavor is the salted caramel. Each bite contains only 90 calories. So I get a treat that is also guilt-free! 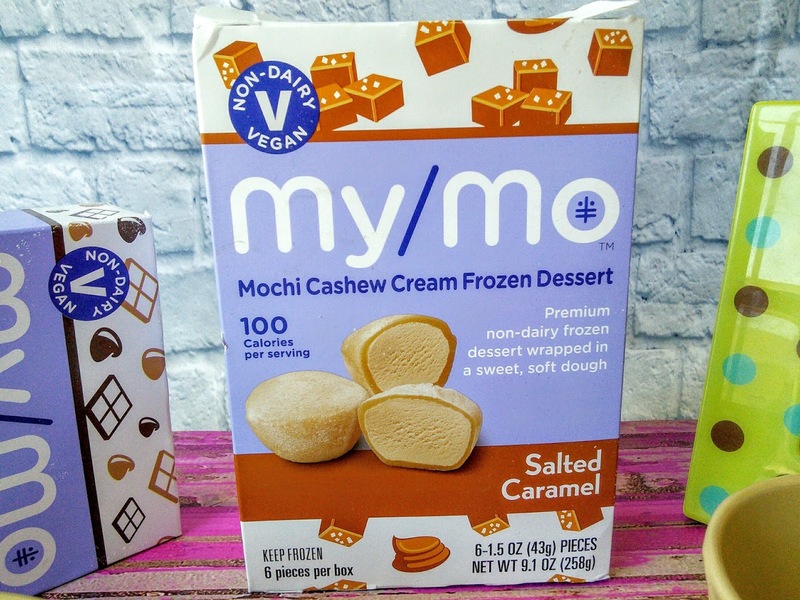 My/Mo Mochi Cashew Cream Frozen Dessert is also gluten-free and soy-free. The best part is I can find these yummy dairy-free frozen treats at my favorite store. My freezer is now stocked for summer with My/Mo Mochi Cashew Cream Frozen Dessert treats and my boys are not allowed to eat them as they don't have dairy issues. I did get them a box of their own My/Mo Mochi Ice Cream, these are the same delicious treats but they are made with ice cream instead of cashew cream. TheMy/Mo Mochi Ice Cream also comes in 8 different flavors. Which My/Mo Mochi Cashew Cream Frozen Dessert would you like to try?